Conversations? Thread? Engaged? Across the Curriculum? 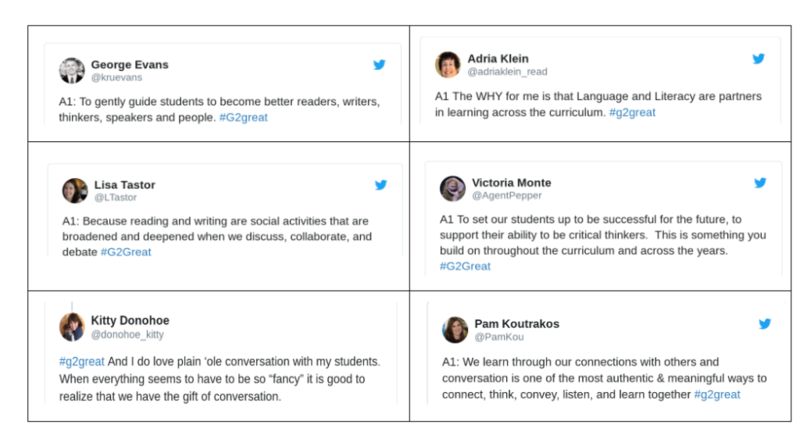 Where would the #G2Great chat focus on January 24th, 2019? Talk is typically either a conversation or discussion while a conversation is often defined as an expression and exchange of individual ideas through talking with other people (back and forth comments). The topic is broad, but the questions led to a laser-like focus on students and their learning. As I read through the Wakelet archive, the early ads, and the quotes, several themes emerged. This is an important question that we often seem to address, because without a ‘Why?’ as a focus, we would be adrift. 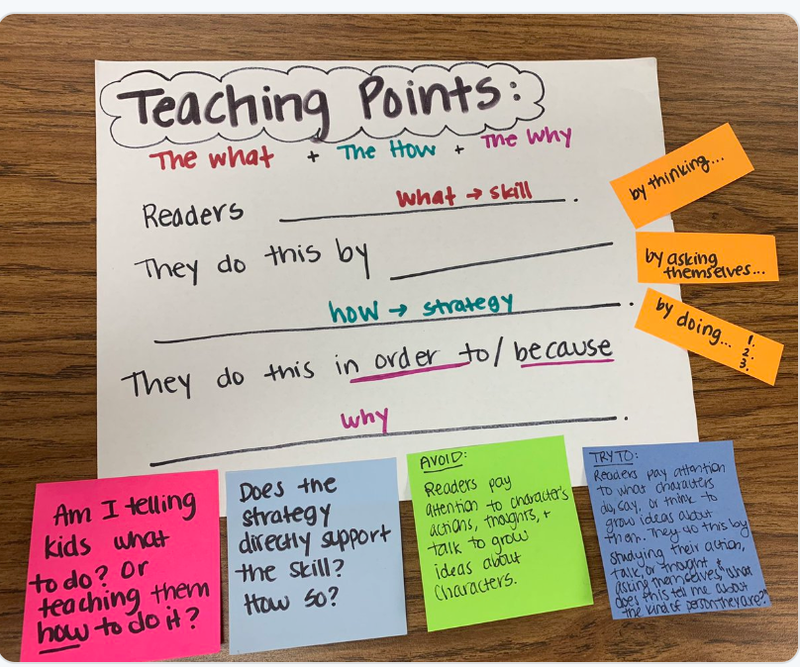 And so an image from Liz Masi (TCRWP Staff Developer) in my Twitter Feed on Friday kept circling in my brain. 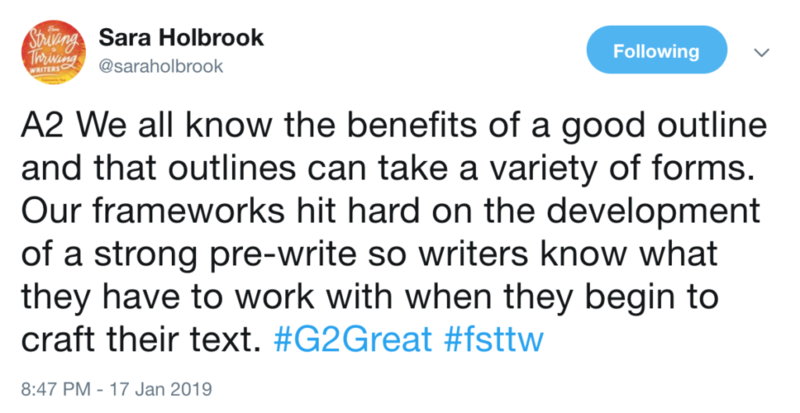 Workshop, whether reading or writing, has long served as one instructional model that minimizes whole group instruction and maximizes student productivity in terms of time to work . . . talk, and thinking. How does the structure of a 10 – 12 minute mini-lesson in a 60 minute learning workshop do that? A mini-lesson is focused on one teaching point. And that teaching point has a Why? a What? and a How? as shown here. And the organizational structure for my post was found! Talk and Conversation is oral communication. Time spent talking can spark new ideas, convey understanding, clarify misunderstandings, capture in-the-moment thinking, and consolidate learning. But to be both effective and efficient in classrooms today, who is doing the talking? Is it the teacher? The students? Or a combination of both? Peter Johnston provided many examples of how language affects learning in Choice Words. Attention to both skills and relationships increases the effectiveness of talk. Teachers and students can refer to his research to consider how to deepen learning to arrive at the ultimate transfer goal. I was fascinated by some research studies that I quickly found through Google Scholar where Teacher Talk Time (TTT) was studied both qualitatively and quantitatively. Aha! Would descriptors lead to deeper understanding? Would there be recommended times or allotments? Like many research efforts, I was left with more questions unanswered. What would define quality teacher talk? What would define quality student talk? How would teachers and students agree? How should time be allocated? 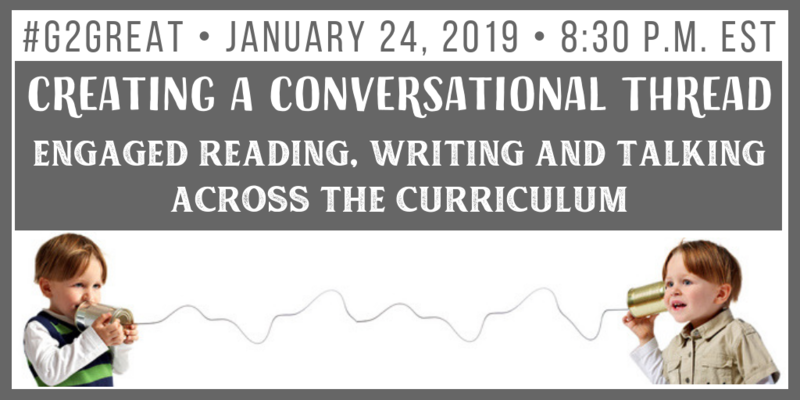 How will we ensure that conversational threads are established across the day in all classrooms? An initial data point could be student and teacher perceptions of classroom talk. In terms of percentages, what percentage of time is spent on Teacher Talk, Teacher-Student Talk, and Student Talk? A comparison of perception to an actual coding of classroom instruction could verify that perceptual data. Then the discussion could move to whether a change is needed (significantly higher Student Talk than Teacher Talk) or if the status quo is meeting the needs of the learners or the values (the Why?) of the organization. If a change is needed, more information, more study, proposed actions, goal setting . . . all of these could be considered. 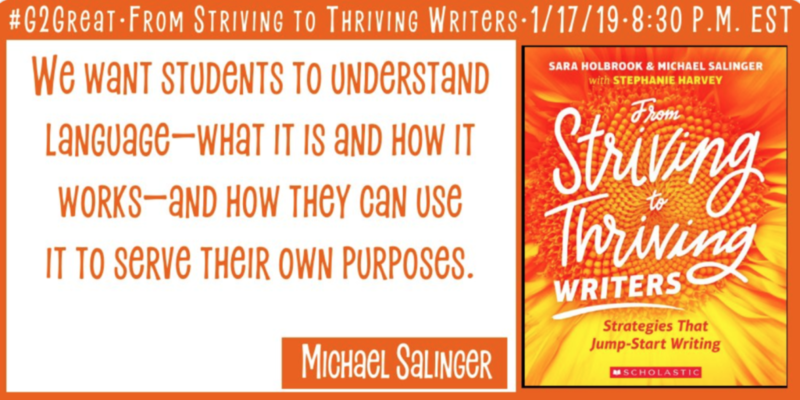 I would be remiss if I didn’t remind readers of another powerful source, Kara Prantikoff’s Teaching Talk: A Practical Guide to Fostering Student Thinking and Conversation highlighted in this May 18, 2017, #G2Great chat and blog post. This text is a “must have” for teachers who intend to expand student talk as it is grounded in the research, pedagogy, assessment tools, formats, and reflection methods that enhance instruction. Returning to the beginning. . . The whole point of increasing the quantity and quality of student talk is not about adding in more interrogations or teacher questioning and student answering sessions. A thoughtful review of existing conditions is required. Are students provided time to have conversations, both planned and spontaneous, across the day? Are conversations only allowed after the “teacher is done talking”? 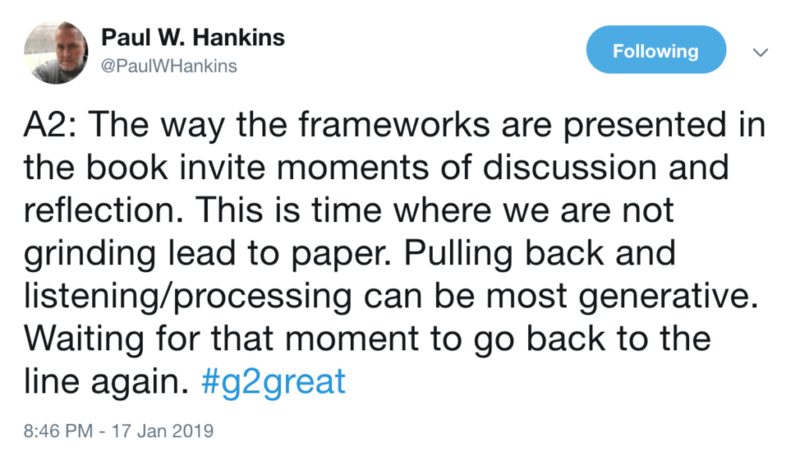 Where is the balance in student work and talk? Does it make a difference if you use a “Gradual Release of Responsibility” or if you have a “collaborative classroom”? Under the “Gradual Release of Responsibility”, teacher talk is not the major focus of time. In many classrooms, Teacher Talk may be be 30-40% of the time with some students then working in small groups or partnerships for a bigger percentage of the time. However, some students may need more support so a “one size fits all” model is never required. And yet a key for this is the fact that the support can and should come from peers. Teachers do not have to provide all the affirmations or answers. Collaborative classrooms provide space and security for students to work together and talk. Collaboration skills and practice are important across the curriculum and the entire day. Learning classrooms are buzzing with conversation. The old maxim, “Students should be seen, not heard” should be the very opposite of classrooms of today. Tables and conversational areas should be strategically placed in classrooms to invite conversations, deepen learning, and create threads of understanding and thinking that permeate the entire learning day. My kids are learning; I know they are! If you have made it this far, I would now challenge you to reflect on your own classroom practices. Check your data on the amount of time that you TALK in your classroom. Start with your teaching point. Do you deliver those three sentences in less than one minute? Does it take you five minutes? 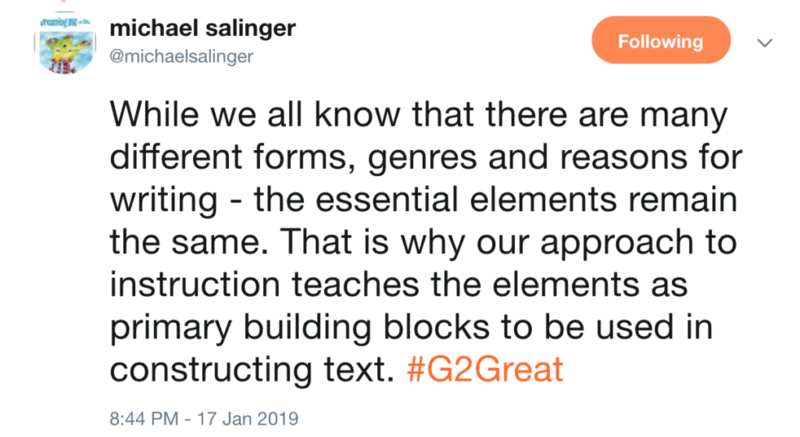 If so, you may be working with teaching chapters instead of teaching points. Maybe you need a more specific focus that allows you to explicitly teach one piece at a time. If we go back to the beginning and the mini-lesson example, that whole class instruction based on Teacher Talk is tightly focused for approximately 10-12 minutes. That is 1 / 6 th of an hour; sixty minutes. So what does that really look like across the day? If you have an 8 period class day, that would mean that you would really only have about 80 minutes of Teacher Talk Time across the day. Who’s Really Doing the Work? The Teacher? Or the Students? Who needs to be doing the talking work? How do we know who is doing the work? Who needs to be creating those conversational threads across the day? Where will you begin? Where will your exploration start? The quality of Teacher Talk Time? The amount of Teacher Talk Time? The quality of Student Talk Time? The amount of Student Talk Time? Student Talk time totally initiated by students to meet their needs with ZERO teacher supervision. Choose your burning question, develop a plan, and improve the dreary winter months by increasing conversational threads across the day! 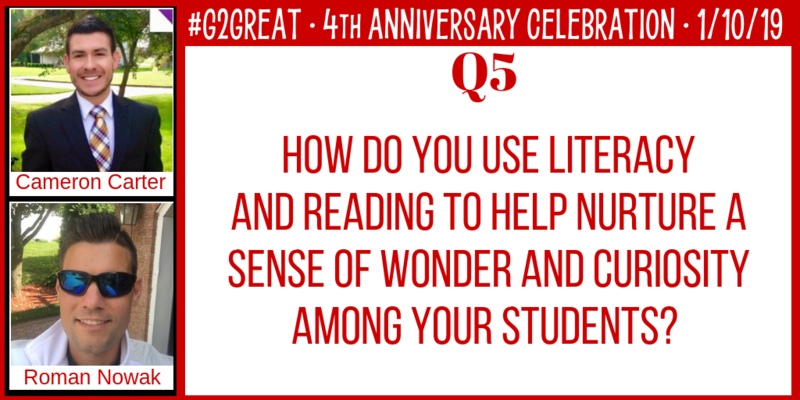 Each year when I am afforded the pleasure of announcing a new #G2Great Anniversary celebration, my heart fills with pride. 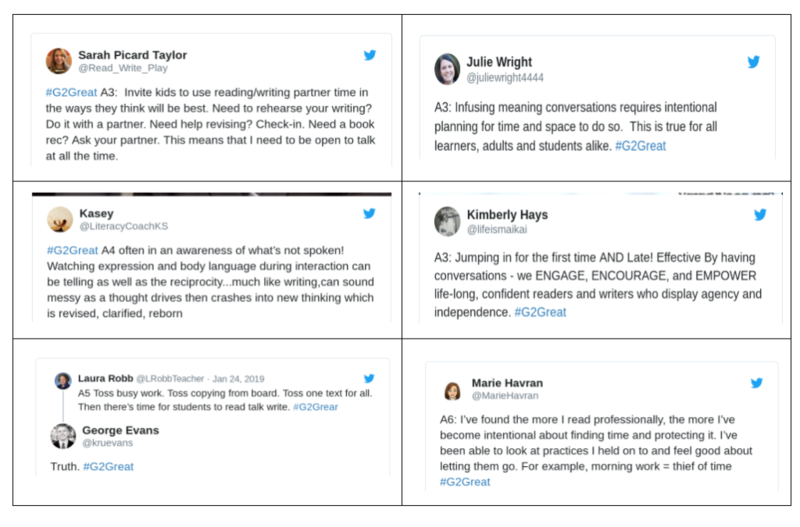 When our chat door officially opened to welcome conversational dialogue Twitter style on January 8, 2015, there was no possible way that we could imagine the tremendous impact #G2great would have on so many people. 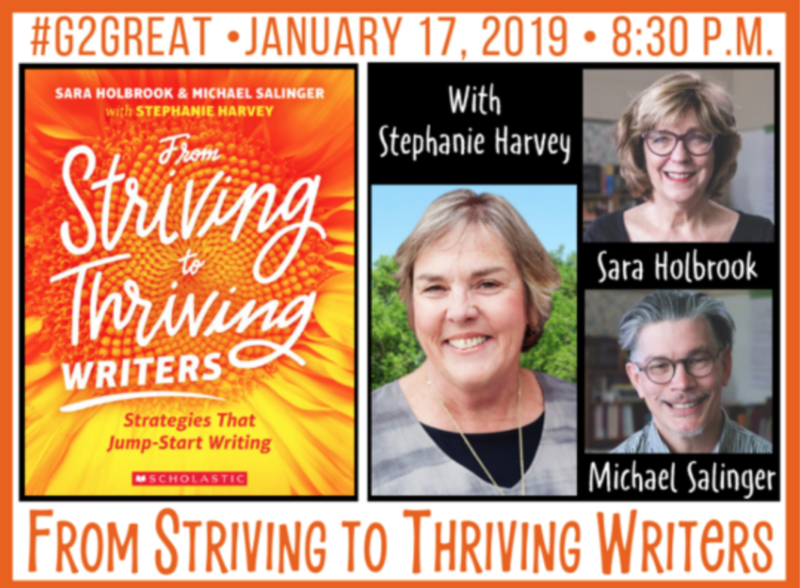 We (me and co-moderators, Fran McVeigh, Jenn Hayhurst and Amy Brennan) never envisioned that a six-week exploration of my book, Good to Great Teaching, would launch a four year professional journey that grows stronger with each new year. On our third anniversary chat on January 4, 2018, we decided to start a new tradition by celebrating a topic near and dear to our hearts: Embracing a Culture of Collective Curiosity. 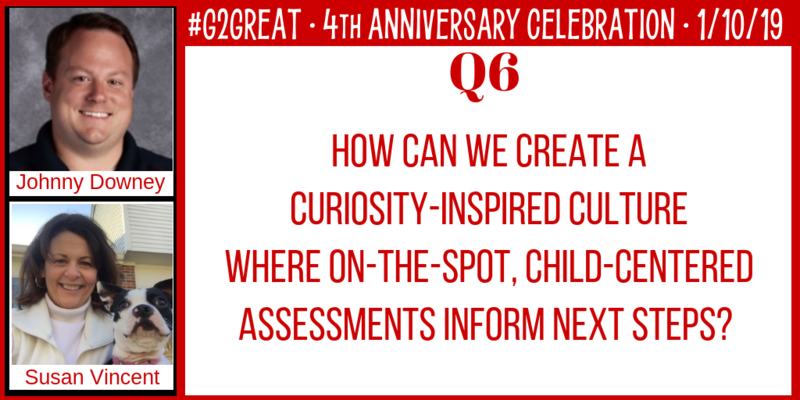 We saw this as an appropriate ritual since curiosity reflects the heart and soul of the #G2Great spirit. Each Thursday night at 8:30, we transform a Twitter hashtag into a community of curious collaborators. We share. We question. We dialogue. We wonder. We explore. We imagine. We envision. We dream. And through this process, we are able to awaken curiosity wonderings that gently nudge us to collective joy surrounded by curious others. Curious educators wonder. They are playful and ask questions to make sense of the world. It is their excitement about learning and the learning of their students which can lead to innovations in education. It is this excitement that inspires other educators to explore their curiosities about learning and teaching. The collective energy of curious educators creates learning environments that stirs the minds of students! My wish for 2019 is that we celebrate learning environments where educators and students share the joy and excitement of curious minds. Curiosity is the desire to learn or know more. Approaching our work as educators with a disposition of curiosity means taking an inquiry stance—posing and being guided by questions about our students, our teaching, and ourselves. Curiosity is contagious and when we make our curiosities known to others, we invite them to join us in conversations about learning and teaching. These connections between curious educators, which can happen locally or virtually thanks to platforms such as Twitter, establish authentic learning communities. In Creating Cultures of Thinking, Ron Ritchart reminds us that “for classrooms to be cultures of thinking for students, schools must be cultures of thinking for teachers.” My hope for 2019 is for educators to continue findings ways to connect with one another and share their professional curiosities in order to learn and grow together. We can learn from our students. Like William Blake intones, young people “see a world in a grain of sand.” In these young minds, curiosity burns fiercely and as educators, it is our job to fan the proverbial flame and not blow it out. Finding like-minded educators will also create support for curiosity. My wish for 2019: May all educators maintain memories of their own childhood curiosity so as to better understand their students. Build a bigger fire. The products that claim the easy solution to difficult things teachers face can’t do anything if we don’t give them permission. Build up our students by giving them work that is worthy of them. Give them books that make them question. Give them inquiry projects and problems to solve to fuel their fire instead of oxygen-depleting garbage like AR or TPT handouts that smother a flame and destroy the sense of wonder that our students deserve. My wish for 2019; If I had one wish for teachers it would be that they be brave enough to stand up for their student curiosity over their own convenience. During a time where many schools are requiring teachers to use scripted programs, we MUST question the effectiveness for each and every student. We must remain curious about how we can modify our teaching. Frequent formative assessment with each of our students must drive our instruction. In fact, our curiosity needs to heighten when we are asked to use a scripted program. My wish for 2019 is for schools to stop pushing programs and to start pushing reading books, but I know that won’t happen quickly….So my wish for 2019 is for teachers to be guided by individual student progress not by a script in a program. Curiosity is generated by our desire to learn. That desire to learn propels and deepens our teaching. We are never experts in our craft. We are always growing and shifting and refining and trying something new. Teaching is a dynamic art. Additionally, every new student we connect with provides a new lens to consider our instruction. It’s our task to reach each individual we come in contact with, so we better remain curious. There is no one right way, this keeps us on our toes and learning, alongside our students. My wish for 2019 is that inquiry based teaching gets a resurgence. That we go back to the roots of what we know and old constructivism at the core of what we do. We need to create environments of wonder and possibility in our classrooms so that our students can take charge of their learning and let their curiosity guide them. Wonder and curiosity are sparked through questioning. When reading, I engage my students with questions such as “What is one thing you still wonder about ____?” or “If ___ were to change, what would happen to ____?” Effective questioning promoting wonder and curiosity allows all students to be able to answer with a sense of advocating their own voice! My wish for 2019 is for educators to take a step back and reflect on themselves. There is no question that our profession can be tiresome. My wish is for colleagues to always take care of themselves in order to be the best they can be in the classroom! If we don’t take care of ourselves, it truly affects our students. This is my 2019 wish for all of you! In a high school setting, where students often come to us saying they do not enjoy reading or ask if we must read more, I try to select texts that will speak to their heart and make them question their own thinking. An emotional bond with characters is important in building empathy. A desire to want to know more about a certain topic, time period or culture is a sign that I did my job; that I planted a seed of curiosity within them to want to go deeper on their own. That is our mission in literacy education. My wish for 2019: That each student who enters the doors of high school can share a book that had a lasting impact on their lives, that they enjoyed, and that a natural curiosity and willingness to read is shared by them. In Reading Recovery we learn about the importance of observational assessments. Marie Clay always talked about needing nothing more than a blank piece of paper. If teachers would remain curious about the way their students are learning, thinking, and growing, we could keep the essence of Marie Clay’s curiosity alive. There is nothing better than sitting next to a child with a fresh piece of paper, and a fresh outlook on the lesson. Standardized tests, screeners, and surface level assessments have a place in raising a flag, or allowing for a quick temperature check. If teachers were to only check a temperature and never diagnose for problems then students everywhere would be lost. There is a recent obsession with quick tests to find quick information but this is not and never will be enough information to actually teach children. Remaining a curious teacher, and using good observational diagnostic assessment data, will lead to more children obtaining what they need. We need to be curious enough about our students to want to dig deeper than standardized tests can dig. Observation as assessment allows us to make responsive teaching decisions. Our Reading Recovery colleagues used a football coach analogy— coaches don’t plan practices just based on game scores. They watch game footage and then plan practices based on observation of what happens during the game. We could learn from this. Johnny and Susan Wish for 2019: We hope teachers remain curious about their students and use child-centered assessments to better serve their needs. 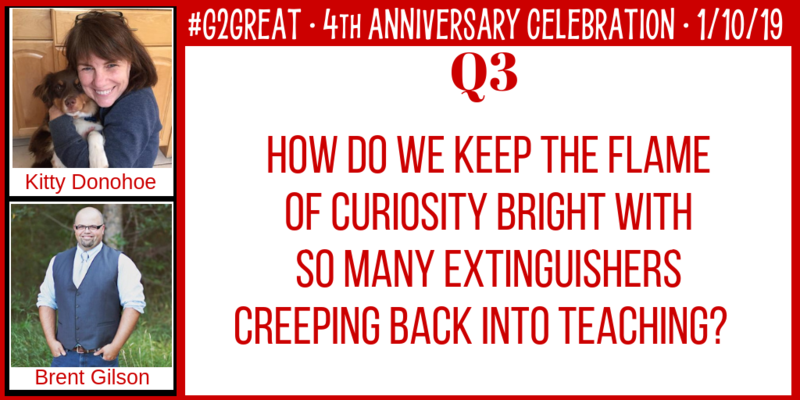 When we asked our #G2great friends to participate in our Anniversary Chat again this year, they didn’t hesitate. 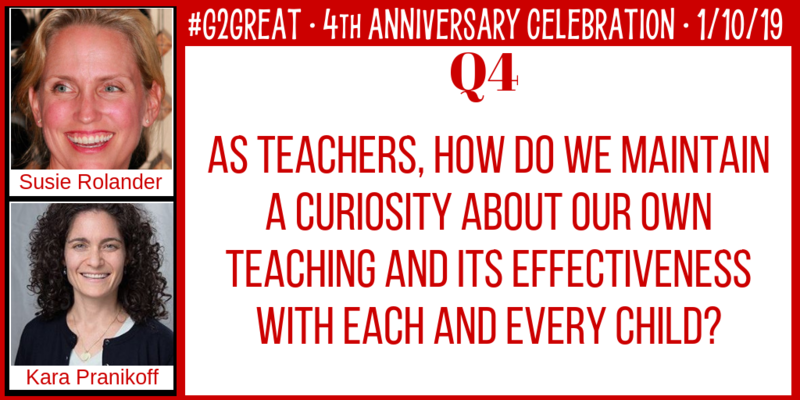 Their eagerness to breathe life into our anniversary chat once again and then respond in writing for this blog post reflects their deep commitment to this topic of curiosity – a commitment that is shared by every educator who attended our chat this week and many of the weeks before this. We are so grateful to those of you who return to our chat week after week to engage in collegial dialogue that supports and extends your curiosities as we merge them with those of others. Each of you epitomize curiosity and all it means to our teaching and ultimately to the students who inspire us to make curiosity our priority, both for ourselves and for our students. 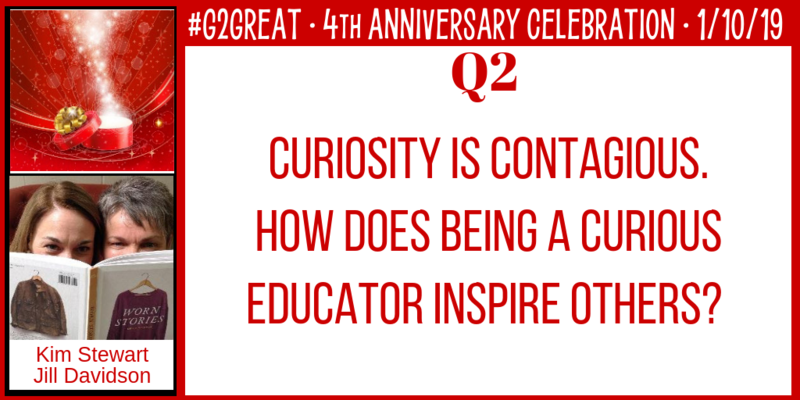 #G2Great was born within a spirit of curiosity that inspires us to reach far higher than scripts, boxes, programs or packages. 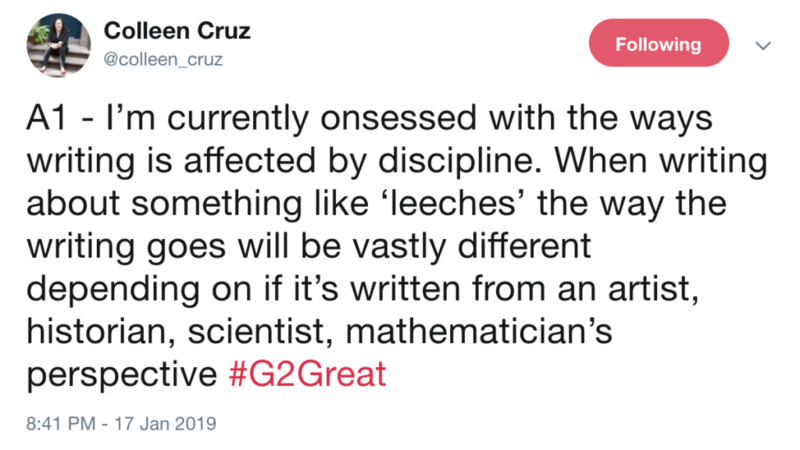 We want more than these narrow “DOINGS” that do little to fuel the curiosity that will in turn fuel curiosity for students. Curiosity begins as a burning ember residing within us all but is is our choice whether we will nurture those embers until it ignites into a celebratory exploration that invites a sense of joyful professional collaborations. 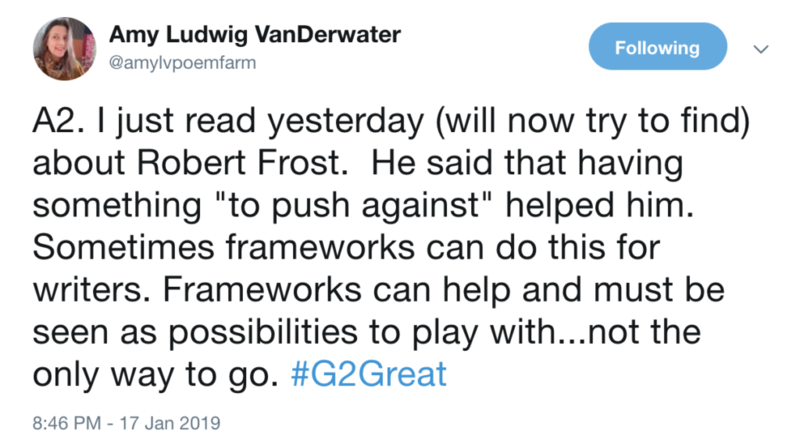 This has defined #G2Great for the past four years and it will continue to be our driving force on your behalf. And so, our wish for you is that your 2019 is filled to brimming with both individually and collectively inspired curiosities. 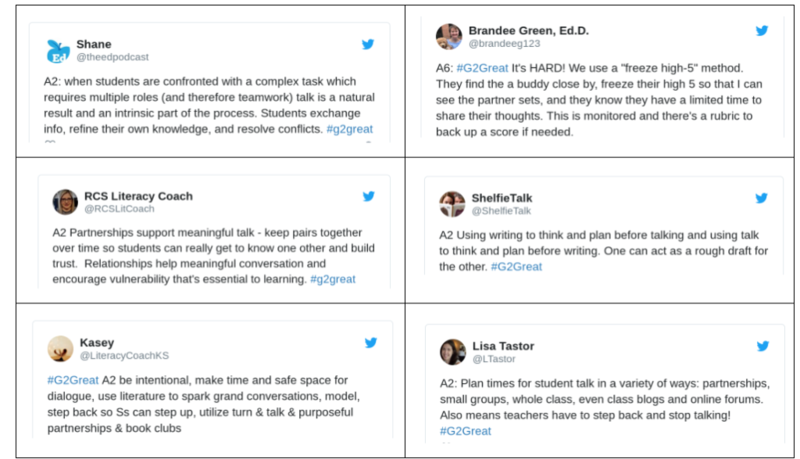 #G2Great is a true labor of love for us, but it would be little more than that if it were not for your dedicated commitment to this profession and to our children. We are so grateful to each of you and we look forward to learning and growing in your company in the years ahead!